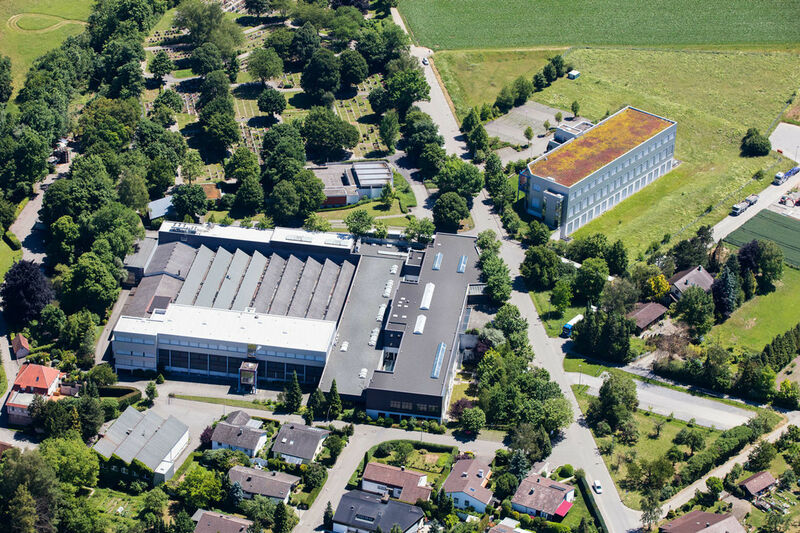 Then, as now, we produce exclusively in Bietigheim-Bissingen near Stuttgart. Starting from the workshop in the Founder house the production area grew gradually to over 20,000 square feet. Our business areas are closely related. 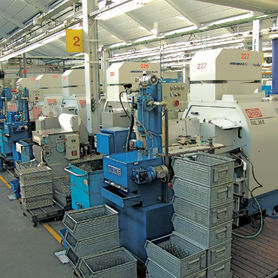 The high integration of the different sectors, from product development to manufacturing, ensures an optimal interaction from the initial product idea to series production. Crosslinking causes a permanent exchange of experiences and forms the ideal basis for economically and technically sophisticated solutions for the sun protection industry. 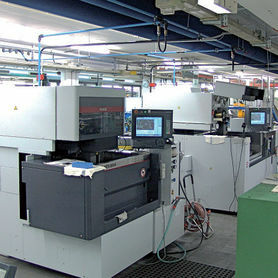 We regard high production integration as a major prerequisite for the production of high quality and durable products. All processing steps – from machining, motor production and plastics technology to assembly – are carried out in-house ensuring high levels of technical competence and flexibility in order to meet the specific requirements of our customers. 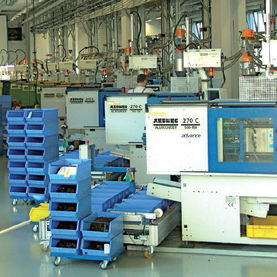 In order to ensure the international competitiveness of Germany as a production location GEIGER develops and manufactures in-house resources such as plastic moulds, manufacturing equipment, special purpose machinery and assembly lines. 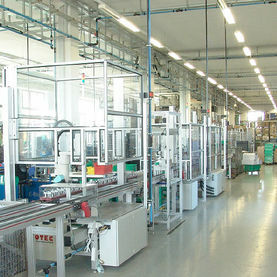 Semi or full automatic production units are used depending on the product and the life cycle concepts.